The INMO has attributed to problem to understaffing and low pay levels. LAST MONTH WAS the worst November on record for hospital overcrowding, with 9,679 patients forced to wait on trolleys and chairs for beds. Figures collated by the Irish Nurses and Midwives Organisation show an 11% increase on the number of people waiting on trolleys from November 2017, and more than twice as many than in 2006 when records began. Earlier this week, the count for 2018 crossed 100,000, making this year the worst-ever year for hospital overcrowding. The union has attributed to problem to understaffing and low pay levels. INMO General Secretary Phil Ní Sheaghdha said each number represented a vulnerable patient who was suffering, as well as the efforts of overworked staff. 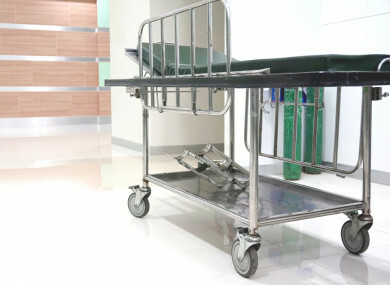 University Hospital Limerick was the worst-hit hospital last month, when over 1,071 patients waited on trolleys, followed by Cork University Hospital (932 patients) and University Hosptial Galway (676 patients). Email “Worst November on record for hospital overcrowding as 9,679 wait on trolleys”. Feedback on “Worst November on record for hospital overcrowding as 9,679 wait on trolleys”.